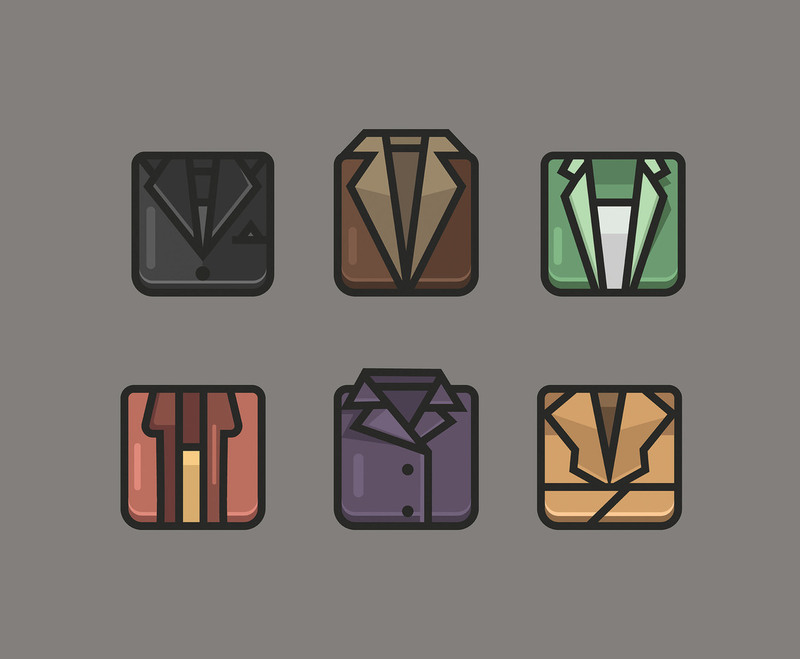 Here are six icons of blazers, each of which represents a different model and color of blazers. I hope it's useful for your design projects. Enjoy!